Taraweeh is the special Prayer in Ramadan. Muslims recites the Holy Quran in Taraweeh, the prayer Taraweeh has 20 rakats of 2 each. 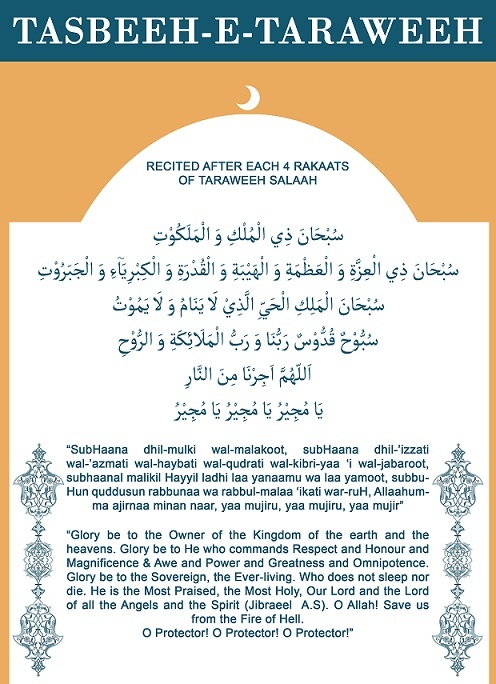 in between the Taraweeh Muslims pray this Taraweeh Dua which is called Namaz e Taraweeh Ki Dua in Urdu.